Number 1255-1260. 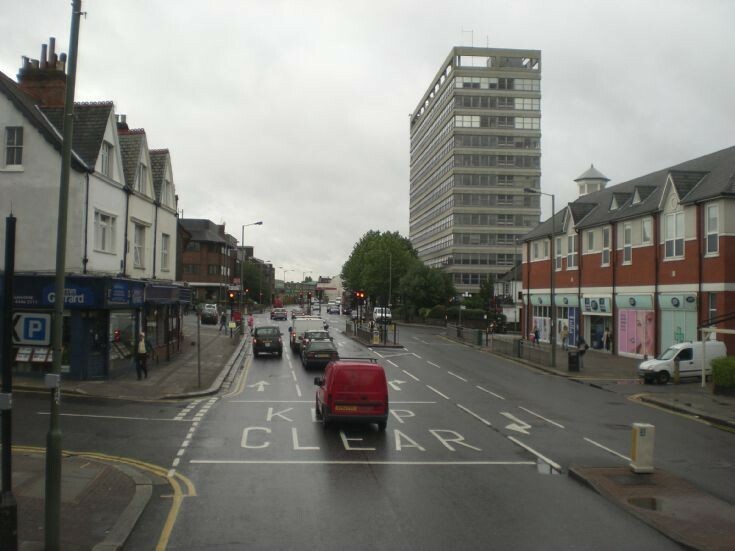 Barnet House towers over Whetstone. It started life as Ever-Ready House in 1966 and has been used by Barnet Council since 1986. Although most of Barnet Council's offices are now located at the North London Business Park (formerly STC) Barnet House is still used by the Planning Service. It is known locally as "Fawlty Towers" and is a particularly unlovely example of 1960s architecture. The Ever Ready building was also used as the backdrop for secret organisation NEMESIS, based in Geneva in the late 60s/70s television series THE CHAMPIONS. You can see the outside wing of the building used and the Geneva fountain superimposed on the front of it.